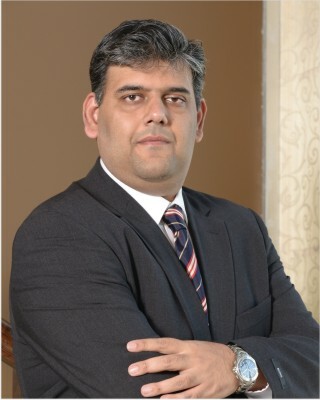 Karan Bhagat is Managing Director & Chief Executive Officer of IIFL Private Wealth. Karan joined India Infoline Group (now re-named IIFL) to set-up IIFL Wealth Management Ltd. in early 2008 and is one of the founding members. Karan is responsible for providing direction and leadership towards the achievement of the organization's philosophy, mission, vision and its strategic goals and objectives. He has built a team of experienced and talented professionals from within and outside the industry, who work with and for, some of the most distinguished wealthy families in India & abroad. He has over a decade of financial services industry experience. Karan holds an MBA in finance from Indian Institute of Management, Bangalore and acquired his Bachelor's Degree in Commerce from St. Xavier's College, Calcutta. The Indian Wealth Management industry is one of the most rapidly growing industries in India. The huge potential of this industry can be established through the rapidly expanding HNI / HNW base in India. World Wealth report published by Capgemini and RBC Wealth Management recently says that India became home to 1.56 lakh millionaires in 2013, with 3000 more joining the elite club in 2013, making the country 16th most populous, in terms of population, of super-rich people worldwide !!! US topped the chart with 40,06,000 millionaires, followed by Japan (23,27,000) and Germany (11,30,000). The report further added that robust growth is expected in most regions, with Asia-Pacific at the forefront with an anticipated 9.8 per cent annual growth rate, positioning the region to be the largest HNWI market by population in 2014 and in wealth terms by 2015. This is huge potential and naturally will attract new entrants to the industry. This also means that there is enough opportunity for each player on the table. However, 80:20 rule should apply here. 80% of the wealth will be managed / advised by 20% of the advisors. These three buckets comprise the organized sector. There is a significantly large unorganized sector too, though this segment is shrinking with passing time. However, the client segment serviced by each player and the range of services provided varies significantly. Some are mere distributors while others offer more complex offerings such as estate planning and family office services. Basic offerings like asset allocation and financial planning, tax planning are now hygiene factors. Comprehensive reporting, product due diligence and product pipeline, and family office services are most in demand and these have become the key differentiators. In the last 6-7 years, we have seen emergence of family offices in India. It brings in a whole new dimension in terms of client servicing, reporting and offering unbiased advice. Family office offering has raised steep entry barriers for new advisors, making the existing client-private bank relationship stronger. We hope that this will lead to longer term relationships as the client will ultimately consolidate their wealth within these family offices, who will act as gate keepers. This process involves high level of trust and confidentiality. Another trend we clearly see is clients' involvement in decision making process, leading to greater understanding of products. New age clients are financially savvy and willing to experiment with new product types. For us, as advisors, it is an opportunity for product innovation. In India, the current generation is well read, educated abroad and has a keener understanding of capital markets. As a result, unlike say 15 years ago, today most of our clients understand what they are buying into and will often ask us for product simulation or reiterations or will ask for global track record of similar products. This is a really big transformation taking place in India's wealth management industry. This brings in transparency and forces product manufacturers to innovate faster. In conclusion, challenges for this industry are aplenty, especially as the industry evolves to the next level. These challenges are in the form of a new segment of HNIs with very different investing behaviour, offering best-in-class products and innovation, changing revenue sources and cost-income models, differentiated value proposition, as well as the role of ever evolving technology. Over time, the industry will evolve and overcome these challenges. The importance of advice will remain critical to success since at the core of wealth management lies the edge of knowledge translating to unbiased, quality advice.